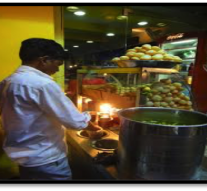 Indian street foods are easy to afford, delicious and worth paying. 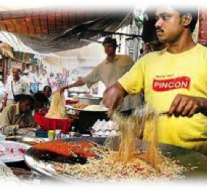 The taste we find in the street foods of India cannot be found anywhere else. 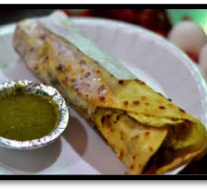 Being Indians, we love to eat and India is a diverse country which shelters various religions and communities hence, we see a vast range of cuisine. 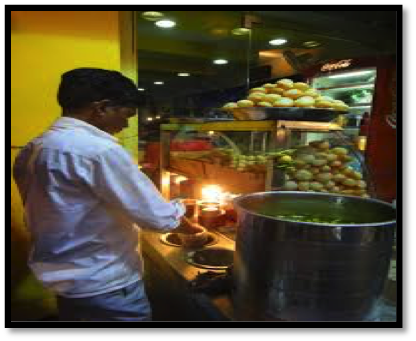 Our taste buds are so developed that we can dump 5 star buffets for our Indian street food. 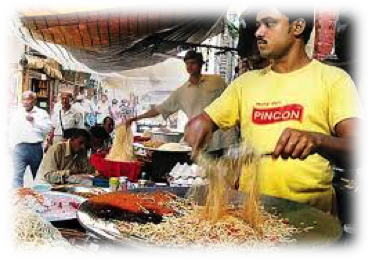 Therefore, we have compiled a list of street food which you would love to eat! 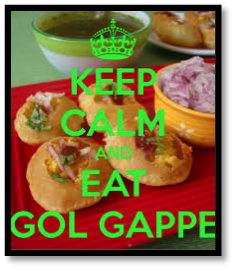 Gol Gappa is one of the street snacks which none of the Indians can ignore. Therefore we have put it on the top of our list. 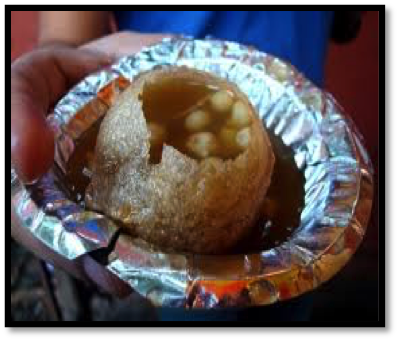 It is known by various names such as Pani Puri and Gupchup. Ah! It’s so addictive, ki sunte hi mooh mein pani aa jata hai. 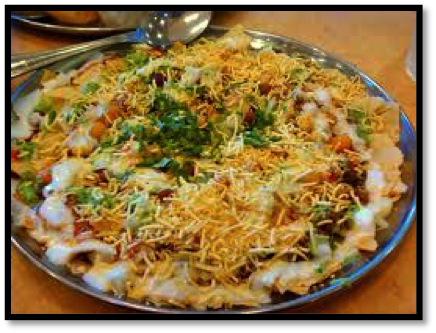 The popularity of this Indian delicacy can be observed when people after finishing up the full plate say “Bhaiya ek last wala dena”. 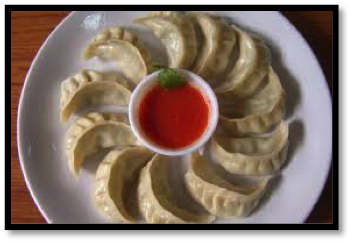 It is a fried crispy shell of dough stuffed with boiled mashed potatoes or chick peas and topped with sweet and sour chutneys. The stuffed shell is then filled with mixture of flavoured water and served. 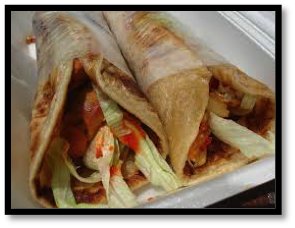 It is another street food which is famous all over the country. It is made in different ways in different states. 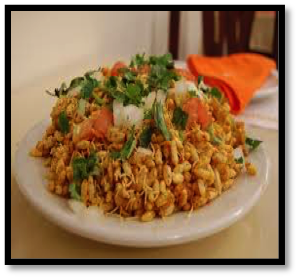 Chaat is basically a platter of boiled potatoes topped with curd, mixture, papadi (flat crisp fried dough), chopped onion and coriander, tomatoes and different chutneys. 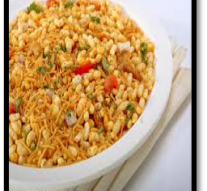 It is a perfect combination of chilly, sweet and sour taste. 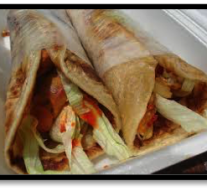 Rolls are very popular street food. It basically originated in Kolkata therefore they are known as “Calcutta Rolls”. 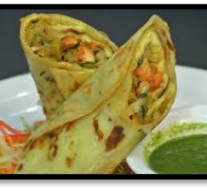 There are different varieties of Rolls such as Veg Roll, Chicken Roll and Egg roll. 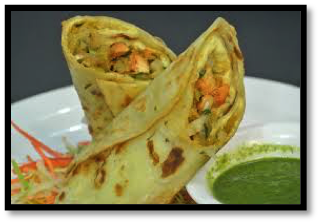 Spicy chicken or egg or veggies along with sliced onion and lemon juice are wrapped in flat bread and served along with coriander chutney. 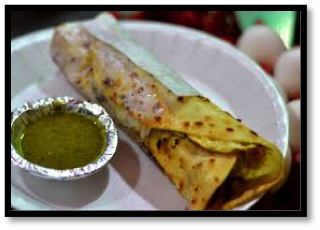 34 Chowringhee Lane, Kolkata is the best place that serves various veg and non-veg rolls. 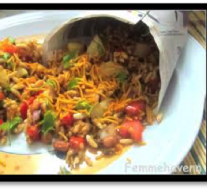 Bhelpuri is a light and refreshing chaat like snack. 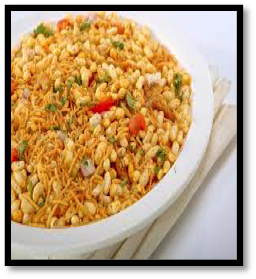 It is mostly eaten in Maharashtra. 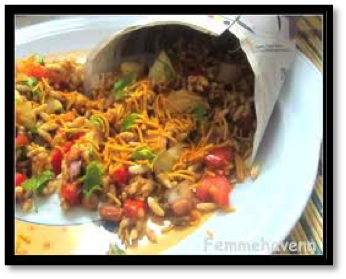 It is made up of diced fresh cucumber, tomato, onion, coconut mixed in puffed rice along with sweet and sour tamarind and coriander chutney, sev mixture, boiled potatoes, lemon juice and Indian spices like red chilli powder, chat masala, black salt etc. It is indeed light, fresh and healthy. 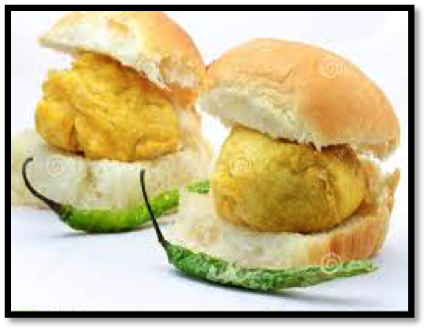 Vada Pav is the most popular Vegetarian street food of Maharashtra. 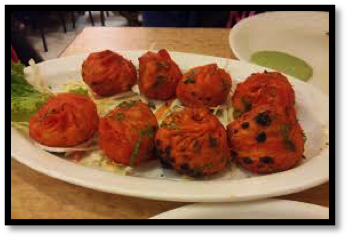 Indian spices are mixed in the mashed potatoes and then the fritter is coated with the batter of gram flour and deep fried. 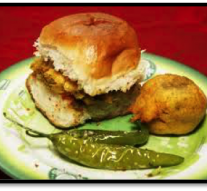 The obtained fritter is then stuffed in bun and is served with coriander chutney, garlic chutney and fried green chilli. Litti – Chokha is a popular street food in Bihar. 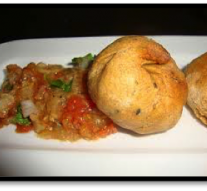 Litti is a baked dough ball stuffed with Sattu mixed with paste of garlic and green chilli and other spices. Chokha is a mixture of mashed potato and brinjal along with pureed tomato and diced green chilli and onion. 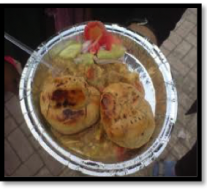 Litti is served by making a crack and pouring desi ghee inside it. 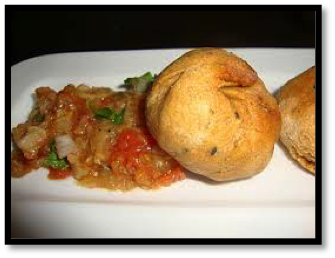 Being a complete package; litti-chokha can be served as breakfast, lunch or dinner. 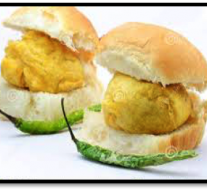 Nothing else can please a Bihari more than Litti-Chokha. 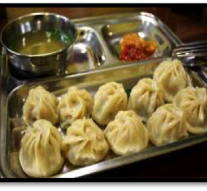 Momo is not originally from India but it is one of the most favourite street foods in Northern India. 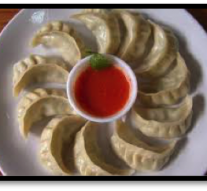 Momos are the dumplings stuffed with meat or vegetable served with various Sauces. They can be served in different forms such as steamed, fried, in gravy. Their shapes and sizes may vary. 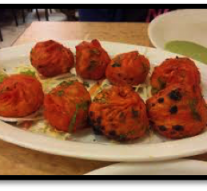 It is also being served with an Indian twist known as Tandoori Momos. 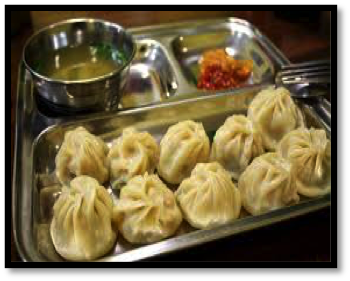 Best place to have a bite of Tandoori Momos is QD’s situated in South Campus, New Delhi; we promise, you won’t regret the experience. 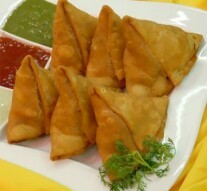 A Samosa is fried or baked flat dough stuffed with boiled mashed potatoes, peanuts, pea, onion and basic Indian spices. It is triangular in shape and it can be veg or non-veg and is served with tomato chutney. 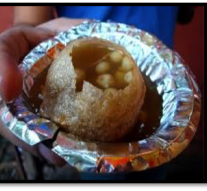 It is savoured around the country as it is one of the yummiest street foods. 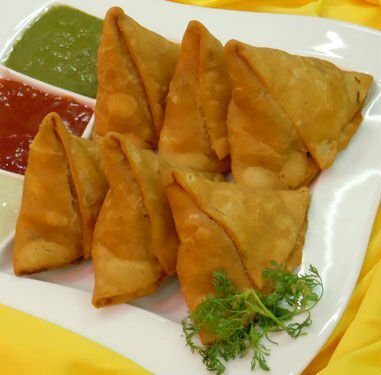 Who can resist samose after all? 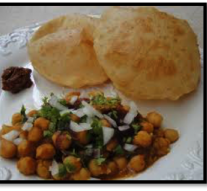 Chhole-Bhature is one of the yummiest dishes people find on Indian streets, Restaurants and Homes. 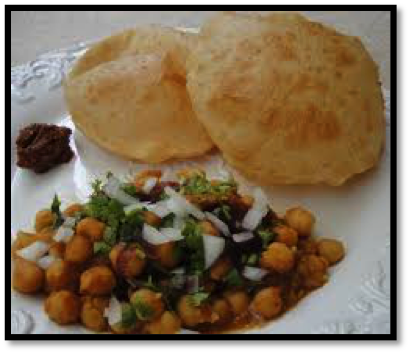 It is the combination of spicy chick pea and fried flat dough made of maida. It is served with sliced onion, green chilli and pickle. 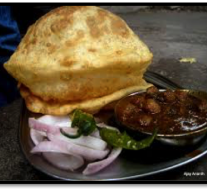 Bhature may be stuffed at times. 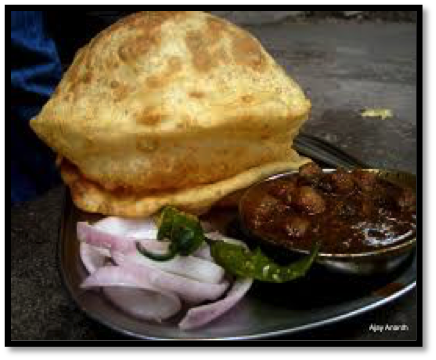 One of the most famous places where we get the yummiest chhole-bhature is Rawal Pindi De Chhole-Bhature in Kamlanagar, Delhi; must try! We bet after trying it you’ll say “Waah! Mazaa aa gya”. 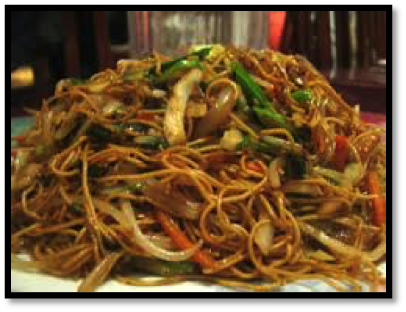 It is a Chinese dish for sure, but the taste you find in the Chowmein in Indian streets is the yummiest of all; believe it or not! 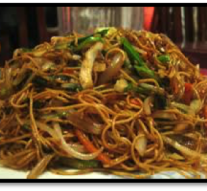 Whenever you cross a Chinese food Stall you can’t resist the fragrance of the noodles and start craving for it.